For homeowners who are considering a residential remodeling project, the overall idea can be very exciting. Although there is a great deal of work, time, and patience involved, the end result is well worth the effort. 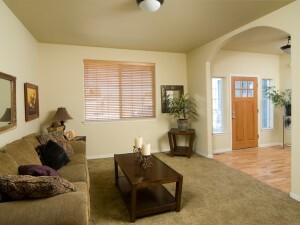 When approached in the right way a residential remodel can transform any home into a seemingly brand new living space. For many families, relocation or new construction is simply not a viable option. In the case where a property is simply too valuable to part with, or it’s historic appeal would be almost impossible to duplicate, a thorough remodel offers the perfect solution. In order for any residential remodel to be a success, a good relationship with the general contractor, and a strong fundamental design is crucial. From a napkin to a working set of plans, the design stage will lay the ground work for a project that will make the homeowners dream a reality. A design team that can transfer the tastes of the homeowner onto the drawing board is worth its weight in gold. Communicating this design by means of a working set of plans is the next crucial step. If the homeowner, designer, and general contractor are all on the same page, the outcome is certain to be a remodel that shines. Innovations in building materials can help to make any residential remodeling project that much more exciting. Whether a homeowner is trying to stay in budget, introduce green building solutions to the project, or try and maintain some degree of historical accuracy, being aware of the latest innovations is something that often falls squarely on the shoulders of the general contractor. A contractor who is familiar with trying to maintain the look and feel of older architecture will be aware of everything from mill work to bathroom faucets. Attention to this type of detail can ensure the homeowner that their remodeling and design ideas will ultimately be realized. Complicated remodeling projects require excellent communication between the homeowner and general contractor. It is recommended that progress meetings be held on a regular basis in order to ensure the project is going smoothly and is on schedule. When there is no communication, misunderstandings often result in delays or design elements that aren’t properly executed. When the homeowner, designer, and general contractor work together as a team, even the most complicated remodel can result in a living space to be proud of. This entry was posted in Construction, Home Remodeling on January 31, 2013 by budgeit.